Following a career as an HR leader for a number of high profile companies and organisations, Lucy channelled her knowledge and experience into setting up FitzgeraldHR in 2008. With a post graduate diploma in Human Resource Management, Lucy is MCIPD qualified and has worked in the field of HR for over 15 years. Lucy has substantial experience in all areas of HR including strategic planning and trouble shooting, employment law, talent management, coaching and advising. She divides her time between Head Office, the regional offices, and supporting and overseeing clients nationwide. Lucy also runs HRtalk, a group set up for SME business owners and employees with HR responsibility that runs regular free sessions to offer support and guidance on a range of HR topics. 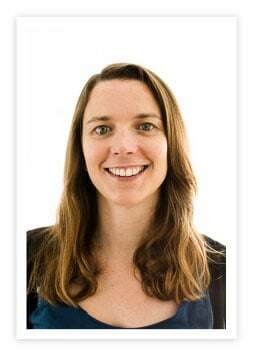 Alice graduated from Brighton University with a degree in Business Administration in 2001 and is an associate member of the CIPD. She's responsible for leading our North Devon team and looking after all client accounts in this region. 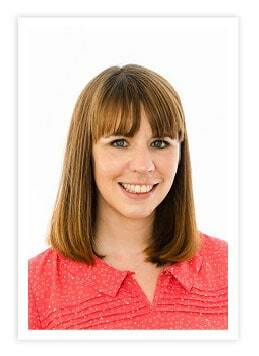 An experienced HR professional, Alice also leads our People Management service stream. With specialist skills in drafting employee handbooks, policies and procedures and contracts of employment, Alice also oversees our payroll service and is our data protection and GDPR expert. An experienced employee relations adviser with strong employment law knowledge, Alice has significant experience in the care sector as well as manufacturing and engineering. Based in our North Devon office, Alice regularly visits clients throughout the South weast to provide HR solutions to a range of issues. Alice's specialism is People Management which includes: Employee lifecycle advice and administration; contracts of employment; employee handbooks; employment policies and procedures; job descriptions; HR information systems; family leave and maternity; exit interviews; payroll; data protection and GDPR; induction; and probation. After gaining a BA in Business Studies at Southampton University, Gemma returned to North Devon in 2006 to develop her career in HR. She went on to study for an MA in Personnel and Development at Plymouth University and is a member of the CIPD with 10 years’ HR experience. Gemma heads up our Learning and Development service stream and specialises in training and developing line managers and teams. She also has extensive experience in handling complex employee relations issues and advising on business change needs such as redundancies and restructuring. 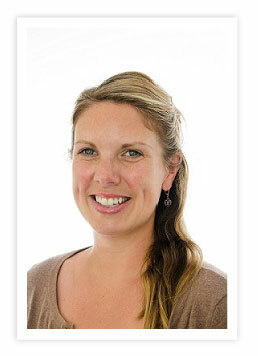 Based in our Barnstaple office, Gemma visits clients on a regular basis throughout the South West. She is also an accredited Coaching Ourselves practitioner. Gemma's specialism is learning and development which includes: bespoke training courses; psychometric assessment; line manager and supervisor training; 360-degree feedback; career coaching; coaching for performance; competency frameworks; skills analysis; and apprenticeships. Vicki is based in our Barnstaple office. She is CIPD qualified to level 5 and is part way through her second year of an MSc in Human Resource Management at Exeter University. With 7 years’ experience in human resources, working with a wide variety of sectors such as food distribution and manufacturing, insurance, the care sector, education and renewable energy, Vicki offers a wealth of experience and knowledge for our clients. Working closely with the Senior HR Consultants, she provides our clients with day to day HR advice and guidance. 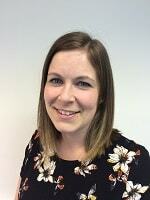 Emily leads our leads our HR team supporting our clients in Somerset, Mid Devon, East Devon and South Devon. She is heads up our Performance Management and Business Change service streams providing a wealth of HR knowledge and experience to a range of clients. After gaining a degree in HR Management at Cheltenham University, Emily went on to become MCIPD qualified. Emily is highly qualified to advise on numerous aspects of HR including TUPE, company and organisation restructures, the design and implementation of performance management schemes and advising on employee relations issues. She is also an accredited mediator and Coaching Ourselves practitioner. Emily leads our Business Change service stream which includes: TUPE transfers; mergers and acquisitions; collective and individual consultation; outplacement support; trade union/staff association consultation; change management; redundancy; organisational restructures; and organisational design. She is also responsible for our Performance Management service stream which includes: Appraisal schemes; individual goal setting and KPIs; departmental and organisational goal setting and KPIs; linking performance and reward; coaching for performance; and 360-degree feedback. Having completed a degree in Physical Geography in 2008, Helen Rook went on to achieve an MA in Human Resource Management at the University of Northumbria at Newcastle Upon Tyne. Her career has included working in HR for the police force, within highways and transportation and for a range of SMEs as a HR Consultant. Helen specialises in Organisation Development and leads this service stream for us, providing our clients with expert solutions relating to Organisational culture, team building, workplace wellness, employee communications, organisational values and employee engagement surveys. Based in Somerset, Helen is a chartered member of the CIPD and holds and ILM Level 7 Certificate in Executive Coaching and Leadership Mentoring. Helen leads our Organisation Development service stream which includes: Organisational culture; team building; workplace wellness; employee communications; organisational values; employee engagement surveys and programmes; employee engagement; HR and people strategy; change management; equality and diversity; HR analytics; leadership and management development programmes; and coaching. Helen is also responsible for our Resourcing and Talent Planning service stream which includes: Psychometric testing; job and person specifications; job advertising; candidate outreach; headhunting; assessment centres and interview tests; selection interviews; pre-employment recruitment checks; succession planning; employer branding; shortlisting; application sifting; apprenticeships; and candidate management. Charlotte studied Classics and English Literature at Birmingham University before joining Fitzgerald HR as a HR and Resourcing Coordinator. Her role is to support the team in delivering an exceptional service to our clients. This includes drafting contracts of employment and letters for staff, taking notes in employment related meetings, assisting with resourcing, and managing HR projects to ensure we communicate effectively with our clients. She also supports in-house HR teams with note-taking when needed. Monica has a post graduate diploma in Human Resource Management and is a graduate member of the CIPD. Having worked for international clients such as Amnesty International, VSO, the Red Cross and CAFOD, Monica has built up more than 13 years’ experience in HR. After studying at the London Metropolitan University, where she gained a postgraduate diploma in Human Resource Management, Monica continues to base herself in London and travels throughout the country to work with our clients. Her experience has given her substantial knowledge of employment law, policy development, cultural change management and coaching. Monica has extensive experience of HR in the charity, not-for-profit and public sectors as well as significant experience of the HR needs of SMEs through working with her current clients. Based in London and the South East, Mary specialises in management development and has significant experience in executive coaching, and training to support organisations through periods of rapid change. Mary leads on the design of our learning initiatives, and delivers training throughout the UK. She has a degree in Philosophy from Surrey University, a certificate in business coaching, and is a qualified MBTI practitioner.